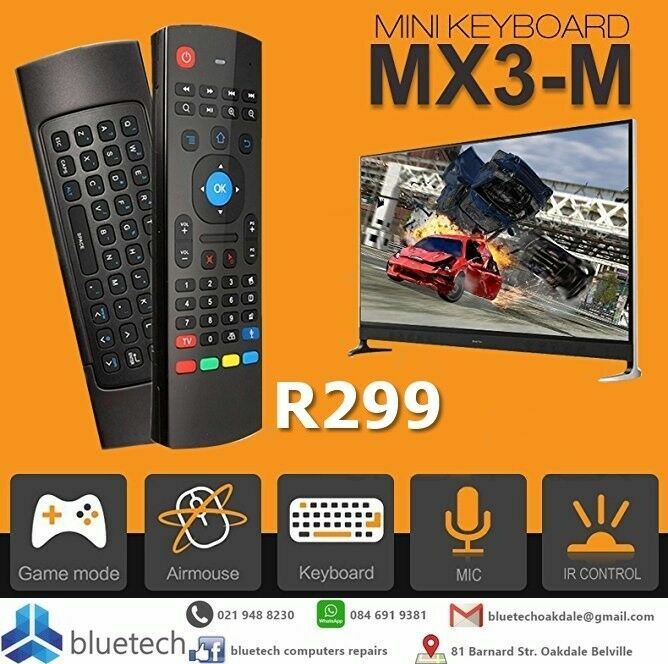 Hi, I’m interested in New MX3 2.4GHz Air Mouse Wireless Keyboard Remote Voice Control, Bluetech Computers 021 948 8230. Please contact me. Thanks! Very convenient to control in horizontal and vertical mode for motion games and typing.